LG’s Smart Home Service Provides Consumers Complete Control Over Broad Range of Technologies and Home Appliances. 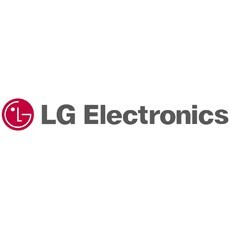 LG Electronics showcased the convenience-enhancing features of its Smart Home Service at the 2013 International Consumer Electronics Show (CES). The advanced system combines the sophisticated media sharing technologies of SmartShare with the integrated home appliance management capabilities of SmartControl, enabling the user to take complete command of their smart home environment. Consumers can start their laundry, check what’s in the fridge, or have the floor vacuumed, all while they’re away from home. Additionally, it’s possible to control the washer or range oven from the couch with LG’s Smart TV and Magic Remote. Thanks to LG’s SmartControl app, household chores no longer have to get in the way of watching a favorite movie or show. “The Smart Home Service is a perfect example of LG’s commitment to bringing true technology convergence into the consumer’s home,” said Dr. Scott Ahn, Chief Technology Officer of LG Electronics. SmartShare features one-touch NFC tagging to instantaneously transfer media content from one device to another using WiFi or 3G/4G. Users can easily share photos, videos and other content stored on a smartphone or laptop with their LG Smart TV. The SmartShare application offers an integrated content view which lists all files located on each connected device; making searching and accessing content easier than ever. LG’s convergent home appliance management system, SmartControl, adds further value to LG’s exceptional range of smart home appliances. 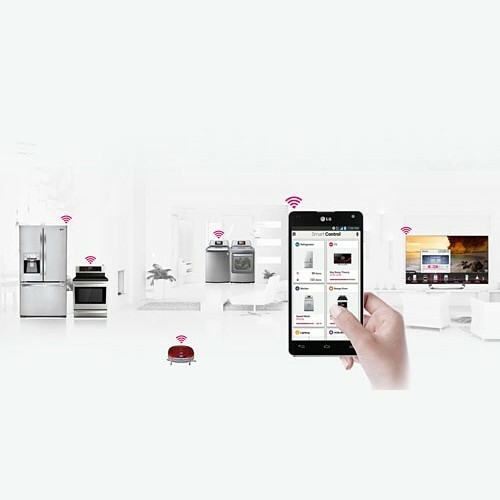 After NFC one-touch registration, it’s possible to effectively manage LG’s smart washer, refrigerator, range oven, or HOM-BOT from the SmartControl interface. Delivering greater convenience, the easy-to-use application keeps the user firmly in control, regardless of their physical location. SmartControl also enables the user to remotely monitor LG’s super-efficient Smart Home system and to give simple voice commands to their appliances via smartphone. LG’s Smart Home Service was honored with a 2013 CES Innovations Award for its intuitive interface and excellent feature set.